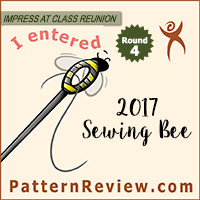 I have been doing more sewing – of the non-year-long-challenge related variety! Though I think this “fills a need” in my basic wardrobe and it was clearing out the stash… so I am ok with that. Since I spent a lot of the end of last year not sewing, I have been wanting to get back into it slowly with a few low-stakes projects that I wouldn’t be mourning if they didn’t turn out too well. Also, it has been pretty cold, so a fleece jacket sounded like a good idea. I tried to make a fleece jacket last year, but I wasn’t too happy with the results (I think I wore it once, then I gave it to my sister. The fit/style are much better suited to her than they were to me.) This is a much more casual style jacket, which is a much better fit for the fleece fabric I think. I’ll spoil the ending for you all now – this one is a keeper. Clearly, we were having too much fun. The hood is super huge – perfect for looking like an evil emperor. Actually, I really like shape of it as it is easy to position for coverage and visibility. I also really like that the collar covers my neck. A look at the back. Instead of exposed seam allowances I used a lot of top-stitching. Next time I will scoop out the center back a bit to fix the mild swayback problem. on the inside and to finish of the sleeve cuff hems. Pattern Description: Short zip-up hoodie jacket with pockets, zipper hood, rolled cuffs, and exposed seam allowances. I left off or changed a lot of the details in my version (see Alterations section below). Pattern Sizing: Burda sizes 36-44. I traced at 38 at the neck opening, a 40 for the shoulders through the waist, and graded out to a 42 at the back hips and on the sleeves. I used to trace pretty much a straight 40, but I am finding that when I am more liberal with using multiple sizes in key areas of my body I get an even better fit with very few alterations. Something I will be experimenting with more in the future, I am sure. Were the instructions easy to follow? Ummmm, I hate to be one of those people… But I didn’t use them too much. I have sewn enough jackets by this point that I didn’t really need them, though I did look at them and follow the general construction order. I changed a lot of the details, though, so I sort of ignored large section of the instructions. What I did read seemed to be fairly logical, but I didn’t get too in depth. Did it look like the photo/drawing when you were done with it? Yes, pretty much. The design changes I made aren’t noticeably different from what is in the photo/drawing, so it looks pretty close. What did you particularly like or dislike about this pattern? I think I liked pretty much everything. The style, the fit, it was easy to make, the drafting was superb. I have never had sleeves set in so easily before! I like that the zipper/hood covers the neck area (so many of my jackets don’t and if you don’t have a scarf it gets really cold), and my sister commented that it was nice to see a jacket with such a large hood, since so many RTW jackets for girls have tiny hoods that don’t cover much of the head. Also, by having such a large hood it helps it lie nicely when it is worn down on the back. My only dislikes were the zipper in the hood (I imagine it getting caught in my hair) and the exposed seam allowances, so I left those off. Fabric used: I used a poly fleece from Jo-Ann fabrics (bought at a Black Friday sale, so this was a really cheap jacket to make). Not as classy or high-end as Burda’s fulled loden, but I think it will get the job done. Pattern alterations or designs changes you made: I left off the zipper that was supposed to be included in the separating hood (I just made a regular hood), and I left the seam allowances inside the jacket, instead of having them exposed. I top-stitched the allowances down, so it still has the same design lines, without looking like I am wearing it inside out. Would you sew this again? Would you recommend it to others? I would consider sewing this again. I need to make a slight swayback adjustment (not difficult because of the center back seam), but the fit is good and I like the style. I don’t think I need a rainbow of fleece hoodies, but when the green one gets too worn I would consider making another one. I would recommend this pattern to others who want to make a nice casual jacket – the drafting is great and the style is pretty nice. Conclusion: I am really happy with my jacket! It is warm and cozy, casual, and it wasn’t too difficult to make. I think the style is great for an exercise/warm up jacket, or for running errands on a chilly day. I have already grabbed it as my go-to jacket twice in three days, so I think it will see a lot of use in the coming months. So that’s my jacket! In honor of it’s Kermit The Frog color, I have dubbed it the “It’s Not Easy Being Green” jacket. Hmmm… it seems I tend to make my outer wear in cartoon colors as this will be joining my “Smurf Raincoat” in my list of clothes that are commonly referred to by characters from children’s television shows. Well, I have never really been afraid of color, so, umm, I guess that is ok? Speaking of not fearing color – my next project review will be my first foray into the trend of color blocking! I don’t know if the resulting project is really “my style” but I am glad I went ahead with the experiment. Unfortunately my stupid flu/cold/nonsense took a turn for the worse (ok having a weird Organ Trail II deja vu flashback moment there… and, yeah, that reference is very generational), so I haven’t felt much like doing another photo shoot. 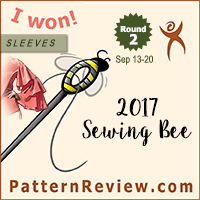 So the sewing is still happening (at a somewhat reduced pace), but the reviews probably won’t be popping up for a while yet. Newsflash: March Burda Preview Announced! Outerwear should be in cartoon colors imo. Nice jacket. That is a truly useful piece! You'll get tons of wear out of it. Wow! This jacket is great! I've got this on my sewing list. I like it better without the zip on the hood and the topstitching is a nice touch.